This entry was posted in candle making supplies, Fragrance Oils, Natures Garden, Natures Garden Fragrance Oils, Soap making supplies, wholesale fragrance oils and tagged bath and body products, candle making, candle making supplies, Crafts, diy, floral fragrances, floral fragrances for candles, floral scents, floral scents for bath and body products, flower scents, fragrance, fragrance oils, homemade, natures garden, rose & violet type, rose and violet fragrance, rose and violet scent in bath and body products, rose fragrance, scent of violets, smells like flower, smells like roses, smells like violets, soap making, soap making supplies, spring fragrances, spring scents, violet fragrance, violet scent, wholesale, wholesale fragrance oils on March 31, 2015 by Deborah Ward. It’s almost time for all the beautiful spring flowers to appear, and I know that we can hardly wait here at Nature’s Garden! I can’t wait to be able to walk outside and breathe in the aroma of so many different flowers! Our Rose & Violet Type Scent is the perfect fragrance to bring you the feeling of outside in the middle of all those wonderful flowers, it is sure to fill your home with the scent of gorgeous spring pink roses mixed with the scent of beautiful violets! What a wonderful combination! What Does Rose & Violet Type Smell Like? NG Rose & Violet Type Scent by Nature’s Garden is a soothing medley that is a fantastic blend of sweet violet blossoms mixed with wild rose. 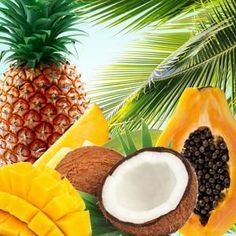 This fragrance also consists of a combination of fresh notes of coconut, musk, and even orange. How Do Our Customers Use NG Rose & Violet Type Fragrance Oil? This scent is so comforting and relaxing that is sure to make your mind drift right outside to the beauty of a gorgeous spring day. Use it to fill you home with florals that are sure to excite everyone you know! For all the candle makers out there, this fragrance is just what you’ve been looking for! 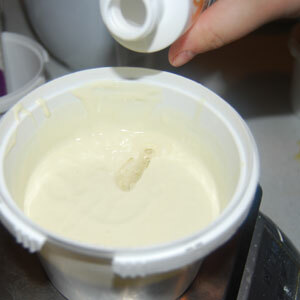 Rose & Violet Type works nice and strong in soy wax, as well as performing perfectly in joy wax and wow wax. For all the incense and potpourri makers out there, this wonderful scent has a maximum usage rate of 50%. You can easily fill your home with this aroma by using it to create some nice and strong homemade aroma beads! 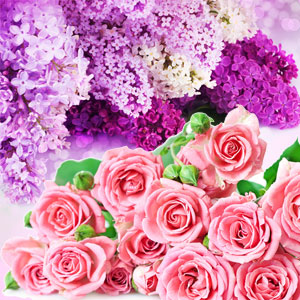 For bath and body products, our Rose & Violet Type scent has a maximum usage rate of 5%. Some common bath and body products that can include this fragrance are perfumes, bath gels, bath oils, lotions, and soaps. 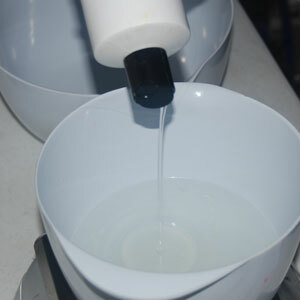 Our cold process soap results are: there is a slight acceleration as well as moderate ricing. You will want to stick blend. 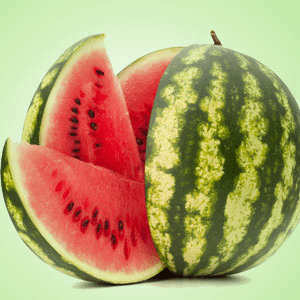 However there is no discoloration and it has a very strong scent! This fragrance just keeps getting better and better! We offer many great free classes and recipes here at Nature’s Garden and our Rose Violet Bath Melts are actually made with this amazing fragrance! These bath melts are such an amazing and fun recipe, one that you definitely don’t want to miss out on! Please don’t hesitate to contact us here at Nature’s Garden with any thoughts, concerns, or questions you may have! Enjoy these wonderful products and keep watching for even more Enlightened by Layla! 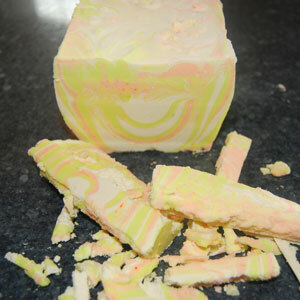 This entry was posted in bath and body, bath products, Natures Garden, soap making problems, Soap making supplies, sodium lactate and tagged cold process soap, cold process soap problems, correct sodium lactate amount, cp soap, crumbly soap, how much sodium lactate, ingredients to harden soap, making tiger swirl soap, natures garden, palm oil and sodium lactate, palm oil in cp soap, palm oil in soap, problems with cp soap, problems with sodium lactate, soap batch with too much sodium lactate, soap making problems, sodium lactate, sodium lactate and palm oil, sodium lactate in cold process soap, sodium lactate in soap, sodium lactate problems, tiger swirl soap, tiger swirl soap problems, using too much sodium lactate, what causes soap to crumble, what happens if you use too much sodium lactate, why can soap crumble, why does my soap crumble on March 27, 2015 by Deborah Ward. Hello everyone! 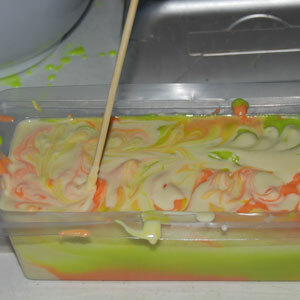 I’m sure you’ve seen from most of my recent blogs that I’ve been experimenting with making many different soaps lately. 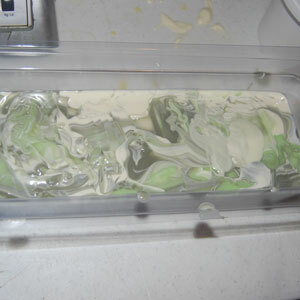 I recently attempted making a Tiger Swirl Soap, and I actually had one major problem with it! While it was a beginner’s problem, I’m actually glad it happened so that I could learn from it! 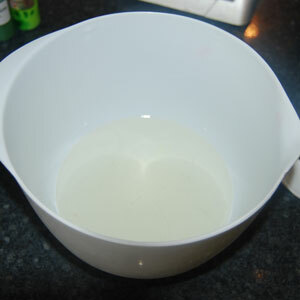 Have you ever experienced any problems while using sodium lactate in soap? 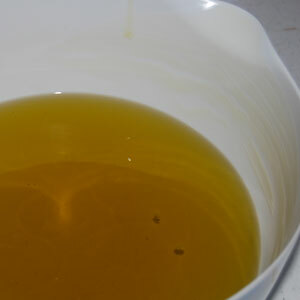 For the base of this soap, I used our Shea Butter Cold Process Soap recipe, which happens to have 181 grams of Palm Oil in it. The palm oil actually contributed to the problem I had with using a high amount of sodium lactate in the soap. 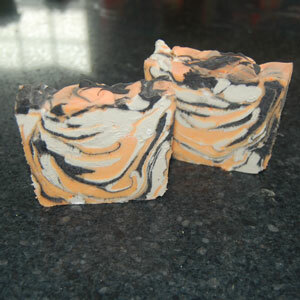 In my Tiger Swirl Soap, I included Sodium Lactate in my recipe. Since Sodium Lactate helps to make your soap easier to remove from your mold, it seemed like a wonderful ingredient to include in my recipe! I added 55 grams of our Sodium Lactate to my lye water and thought that I was going to be so much better off! 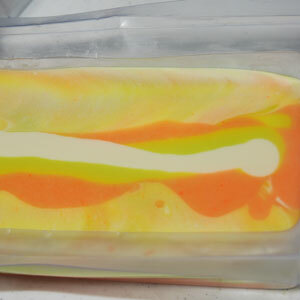 I finished my soap and it came out quite beautifully, beautiful bright orange, white, and bright green swirls! This was one soap that all of us here at Nature’s Garden were extremely excited about! 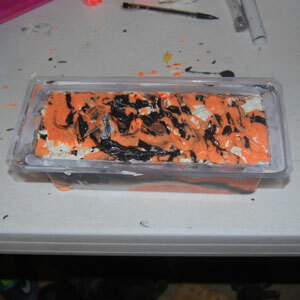 However, when we finally removed my Tiger Swirl soap from its mold and attempted to cut it, it just kept falling apart. This soap would literally just crumble in our hands. We were so disappointed, but then we tried to figure out what our problem might have been. First we thought maybe our calculations were off? But then we got to thinking about the Sodium Lactate since this was the first soap I’ve ever made with that particular ingredient. 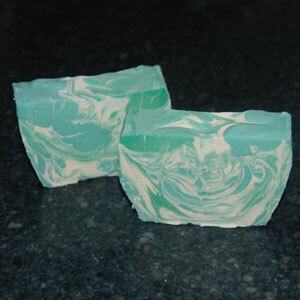 Sodium Lactate is used in cold process soap to help make a harder bar of soap. 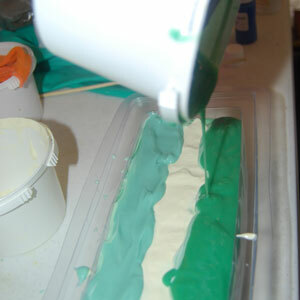 It can also be used to help your soap set up faster, so that you can remove it from your mold sooner! After some research, we finally figured out my problem! Because I already had a high amount of Palm Oil in my soap, the addition of high levels of sodium lactate actually hardened the soap more than what we would have liked. 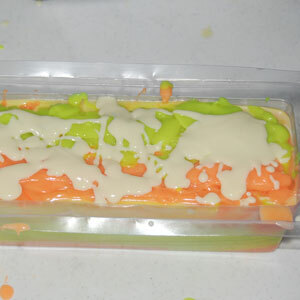 This was caused because the combination of Palm Oil and Sodium Lactate made my soap way too hard and crumbly. 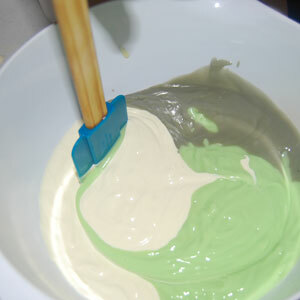 Don’t worry, these beautiful orange and green swirls will be back! 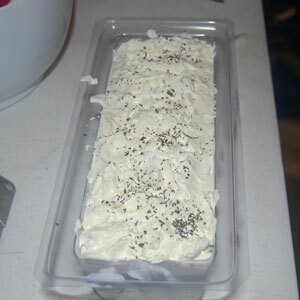 I’m going to remake this soap without the Sodium Lactate and see how it turns out then! I will be back to report! While using a high amount of Sodium Lactate with Palm Oil is apparently not a good idea, you can still use just a small amount. 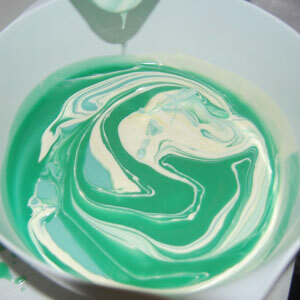 For example, in the Aqua Di Gio soap I made after the Tiger Swirl, I only used 8 grams. 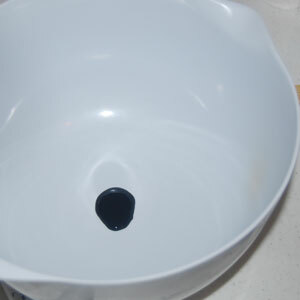 (I still used our Shea Butter Soap for that base.) 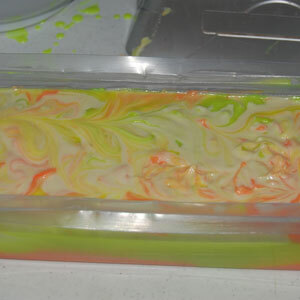 That soap turned out absolutely perfect! 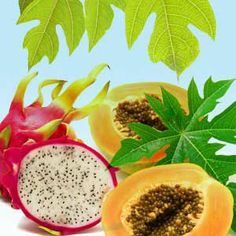 However, now we do recommend using Sodium Lactate mainly in palm-free recipes. 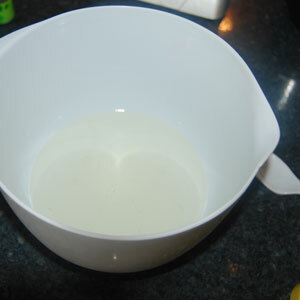 Have you ever had any problems using sodium lactate in soap? I would love to hear from you! Make sure to check out all of our free classes and recipes, and keep watching for more Enlightened by Layla! This entry was posted in bath and body, candle making supplies, Fragrance Oils, Natures Garden, Natures Garden Fragrance Oils, Soap making supplies and tagged bath and body products, candle making, candle making supplies, Crafts, diy, easter fragrances, easter scents, floral fragrances, floral scents, flower fragrances, flower scents, fragrance, fragrance for spring, fragrance oils, homemade, how can i make soap, how to make candles, how to use lilac scent, lilac fragrance, lilac fragrance in candles, lilac fragrance in soaps, lilac fragrance oil, lilac scent, lilac scent in bath and body products, lilac scented bath and body products, natures garden, scent of lilacs, smell of lilacs, smells like lilacs, soap making, soap making supplies, spring fragrances, spring scents, spring smelly jelly, strong fragrances, strong scents, using lilac fragrance oil on March 25, 2015 by Deborah Ward. Spring is upon us and that means it’s almost time for some new lovely and beautiful spring flowers! I just can’t wait to be able to smell all of those fresh growing beauties, can you? Well, let’s talk about a fragrance that will definitely make you feel like you’ve just stepped right into a gorgeous spring day, our Lilac Fragrance Oil! With this wonderful spring scent filling your home, you’re sure to make everyone you know feel as if they have just stepped into a field full of amazing freshly grown spring lilacs! This is one floral scent that you definitely don’t want to miss out on! Lilac Scent by Nature’s Garden is the perfectly captured aroma of new freshly blooming lilac bushes that surrounds you with the wonderful feeling of a lovely breeze-filled spring day. 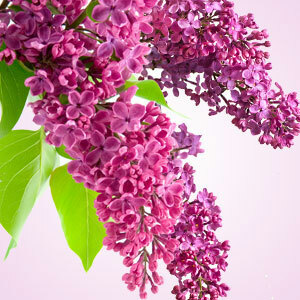 How Do Our Customers Use Lilac Fragrance Oil? Are you looking for the perfect flower fragrance to fill your home with the scent of a glorious spring morning? 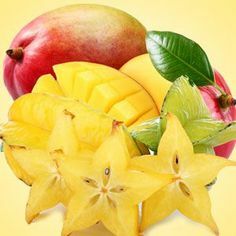 One that is sure to bring the warmth of the sunshine to all of your products and yet still make them extremely feminine? Well, our Lilac fragrance oil does all of that and more! For all you candle makers out there, our Lilac scent is just what you need! 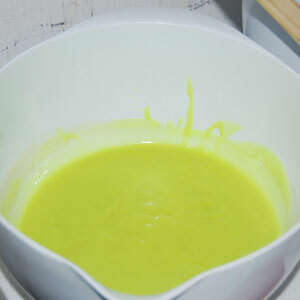 It works perfectly in joy wax and wow wax, as well as performing nice and strong in soy wax. You can easily fill your home with this glorious floral aroma by using it to create some nice and strong homemade aroma beads. For all of the incense and potpourri makers out there, this amazing fragrance has a maximum usage rate of 50%! 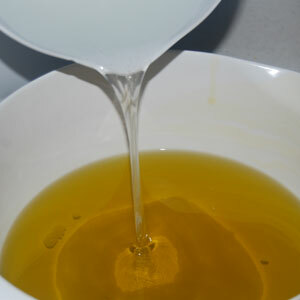 For bath and body products, our Lilac fragrance oil has a maximum usage rate of 5%. Some common bath and body products that can include our Lilac scent are soaps, perfumes, bath oils, bath gels, and lotions. 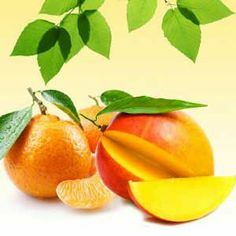 This fragrance oil does actually happen to have a slight vanillin content of .2%, which means that it may tend to discolor any of your soaps or other bath and body products. Just be sure to use our Vanilla White Color Stabilizer, which will help with discoloration and make sure to test this scent thoroughly before using it in any of your finished and final products. For all of the cold process soap makers out there, our Lilac fragrance is just what you’ve been looking for! 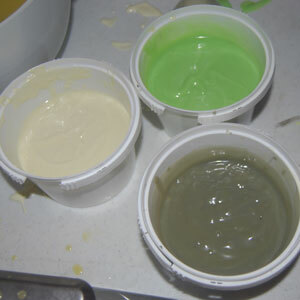 Our cold process results are: there is no discoloration, however there is a slight acceleration. 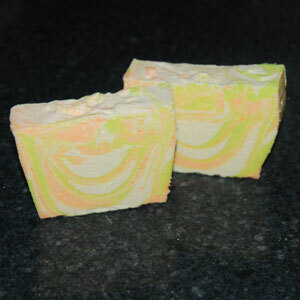 Soap at a cooler temperature, however it has an amazing scent! This fragrance is sure to bring the scent of a favorite spring flower right into your home! It will make your products smell as though you’ve taken them right from the middle of a field of beautiful lilacs! But it just keeps getting better and better! We offer many free recipes and classes here at Nature’s Garden, and our Spring Smelly Jelly is actually made with our Lilac scent! This is the perfect recipe for the season! Enjoy these wonderful products and keep watching for more Enlightened by Layla! 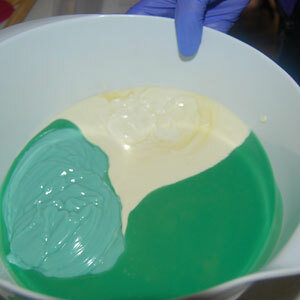 This entry was posted in bath and body, bath products, cold process soap, Natures Garden, soap, Soap making supplies, Uncategorized and tagged best color for cold process soap, best colorants for cold process soap, can i use dye in cold process soap, cold process soap, color morphing, color morphing problems, coloring cold process soap, coloring cp soap, coloring soaps, cp soap, how to color soap, how to make cold process soap, making cold process soap, making cp soap, melt and pour soap, natures garden, pigment and dye soap coloring, red and yellow soap dye, red soap dye problems, soap dye color morphing, soap dyes that color morph, soap dyes that morph, soap making, soap making supplies, using dyes in cold process soap, using pigment colors in cold process soap, what kind of colorant to use in cold process, yellow soap dye problems on March 24, 2015 by Deborah Ward. 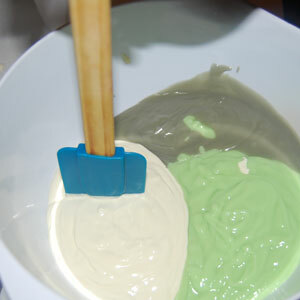 We’ve been experimenting with our soap colorants lately here at Nature’s Garden, going between our dyes and pigments. 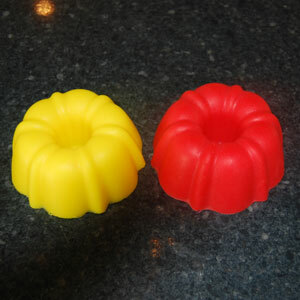 We’ve talked about our blue dye and how it can morph your cold process soap, but have you tried our reds or yellows? Well we have! Like with the blue colorants, we used our red and yellow FD&C Da Bomb dyes in cold process and melt and pour soap to show you the differences! 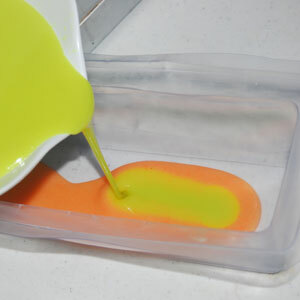 As we all know, our pigmented colorants, or FUN Soap colors, will not cause any morphing problems in melt and pour or cold process, and we have conducted this experiment to see if the same is true for our yellow and red FD&C dyes! 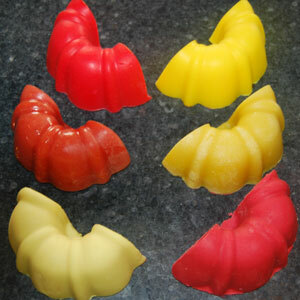 Our red FD&C dye was experimented with in both our melt and soaps as well as cold process. 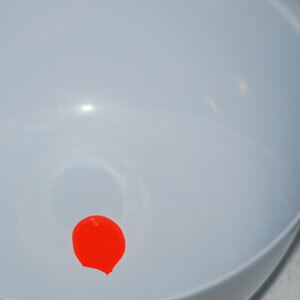 In melt and pour, it brought an awesome bright red color as soon as it was added! However, when used in cold process at first we were concerned that it may have the same problems as our blue FD&C dye with color morphing. 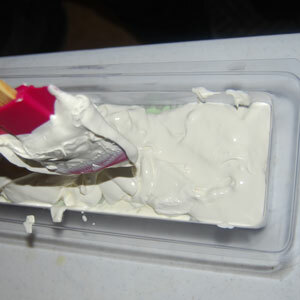 When I first mixed it into the soap, it was definitely red! 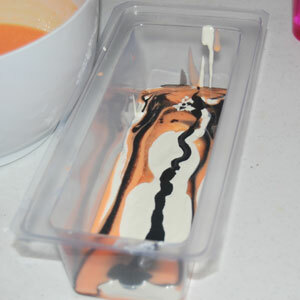 However, after I poured it into the mold, it did start to look like an orange color! But after we let the soap sit for the required 24 hours we realized that it was a brick red. 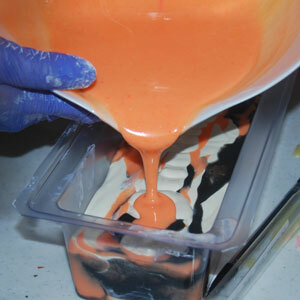 So don’t be concerned if you use our red FD&C dye in cold process and it looks orange at first! It does not color morph as badly as the blue! We do recommend using our FUN Soap pigmented colorants over the FD&C dyes for cold process soaps however since the Da Bomb soap dyes can bleed and fade over time. 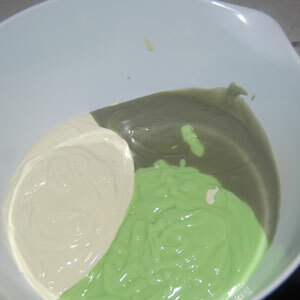 With our yellow FD&C dye, as you can see in the pictures above, we have tried it out in both melt and pour soap and cold process. 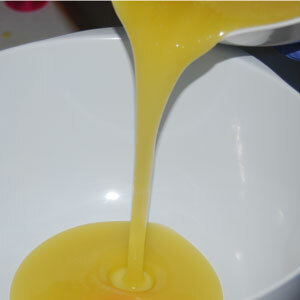 It brought a beautiful bright yellow to our melt and pour, and the same goes for our cold process. 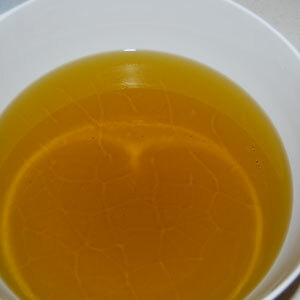 There was no doubt that it was yellow in cold process! 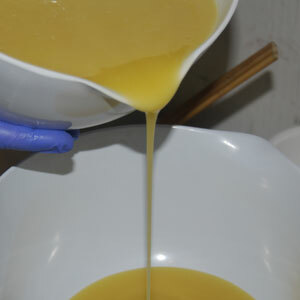 Both of our yellow colorants, FD&C and FUN Soaps, work very well in melt and pour and cold process soap. The usage of each different kind of colorant for your soaps is based on the pH levels as well as the actual saponification process. Melt and pour soap is technically soap that has already gone through the process of saponification, so it is only slightly alkaline. 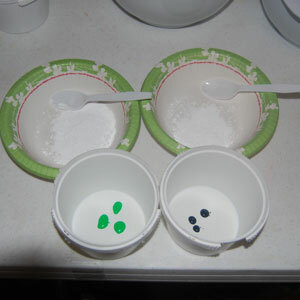 However, since cold process is made completely from scratch the pH levels are very high initially. 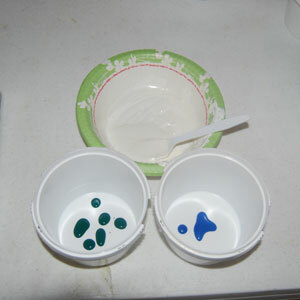 Pigmented colors can withstand higher pH levels much better than dyes. 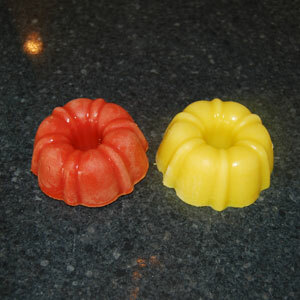 The red and yellow soap dyes will not cause major color morphing, but we do recommend using our FUN Soap Colorants for cold process over our FD&C dyes. Please don’t hesitate to contact us here at Nature’s Garden if you have any thoughts, concerns, or questions! 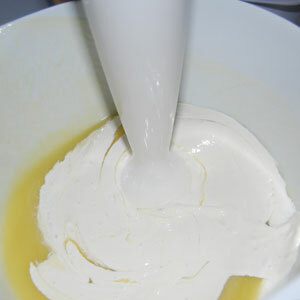 Make sure to check out all of our fantastic free recipes and classes, especially our soap classes! 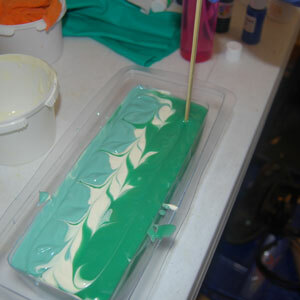 You can learn so many valuable things about the soap making process! 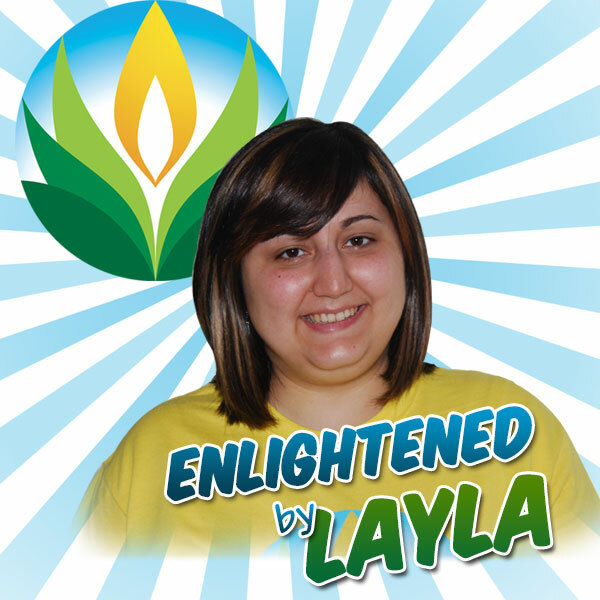 Watch out for more Enlightened by Layla! This entry was posted in candle making supplies, Fragrance Oils, Natures Garden, Natures Garden Fragrance Oils, Soap making supplies, wholesale fragrance oils and tagged bath and body products, camouflage candle, camouflage candle recipe, candle fragrances, candle making, candle making supplies, Crafts, diy, fragrance, fragrance oils, fragrances for bath and body products, fragrances for spring, fragrances for summer, free candle recipe, free recipe, fresh fragrance, fresh outdoors fragrance, fresh outdoors scent, fresh scent, green camouflage candle, green camouflage candle recipe, homemade, natures garden, outdoors fragrance, outdoors scent, outside scent, outside scents, smell of the outdoors, smells of outside, soap fragrances, soap making, soap making supplies, spring scents, summer scents, wholesale, wholesale fragrance oils on March 22, 2015 by Deborah Ward. All of the warm weather is right around the corner, and you know what that means! 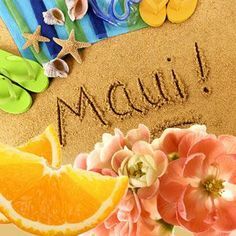 Beautiful flowers, beach time, birds singing, and the wonderful smell of the fresh outdoors! 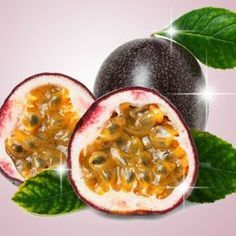 I can hardly wait to be able to step outside and breathe in that amazing aroma! Wouldn’t you love to fill your home with this great scent? Or include it within all of your products? Well, you can! Our Fresh Outdoors Scent perfectly captures the feeling of standing outside and just breathing in the aroma of a fresh summer day! What Does Fresh Outdoors Smell Like? Fresh Outdoors Scent by Nature’s Garden is the perfect combination of the fresh outdoors, you can smell the grass, the air, the dirt, and be surrounded by the feeling of nature’s beauty! This crisp fragrance creates a wonderful natural sensation. 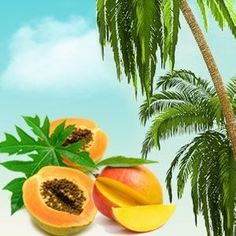 It has breezy tones of bright orange oil and ozone that highlight a great floral blend of lily and jasmine that are at the heart of the blend. The floral accord is accented by clean woody elements of pine and cedar that are balanced by just a hint of spice. There is a clear musk undertone that envelopes the shimmering sweetness of the sensation of the outdoors. 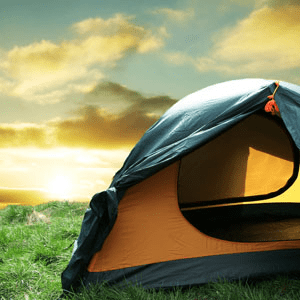 How Do Our Customers Use Fresh Outdoors? This fragrance is sure to thrill your senses with the aroma of breathing in the scent of fresh cut grass, dirt, and the amazing mixture of beautiful spring and summer flowers! Can’t you just hear the birds chirping? For all the candle makers out there, this fragrance is absolutely perfect for you! 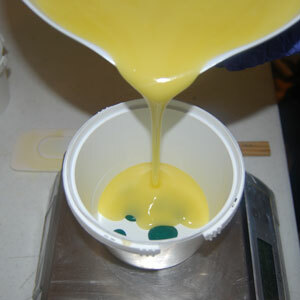 It works perfectly in joy wax and wow wax, as well as performing nice and strong in soy wax. You can easily fill your home with this awesome scent by using it to create some nice and strong homemade aroma beads! For all the potpourri and incense makers out there, our Fresh Outdoors scent has a maximum usage rate of 50%! For bath and body products, this great fragrance has a maximum usage rate of 5%. Some common bath and body products that can include our Fresh Outdoors scent are bath oils, lotions, perfumes, bath gels, and soaps. 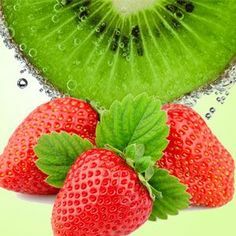 There is no discoloration in this fragrance, so you do not have to worry about it discoloring any of your soaps or other homemade bath and body products! 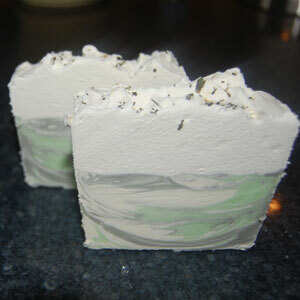 For all the cold process soap makers out there, this scent is just what you’ve been looking for! Our cold process results are: there is no discoloration with just a slight acceleration. It soaps very nicely and the scent stays true! I’m sure you’re just dying to get your hands on this wonderful fragrance, but hold on because it just gets better! 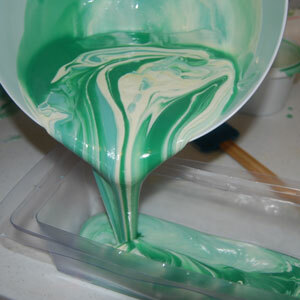 We offer many awesome free classes and recipes here at Nature’s Garden and our Green Camouflage Candle just so happens to made with our Fresh Outdoors fragrance! This is one candle you won’t want to miss out on! 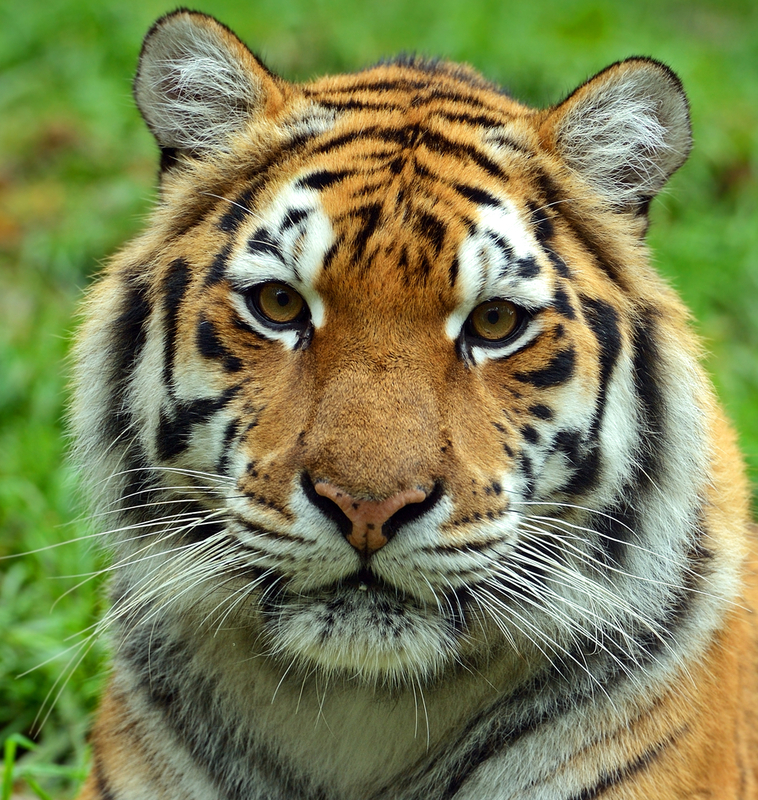 Please contact us here at Nature’s Garden if you have any questions or concerns! Keep watching for more Enlightened by Layla!